In 1977, Head Start began its first bilingual and bicultural programs. 40 years later, Head Start continues to build productive relationships with families by respecting and responding appropriately to the culture, language, values, and family structures of each family they work with. In fact, it’s a requirement. Immigration as a policy matter has been a big part of the public discourse for the past couple years. We won’t get into that discussion for the purposes of this blog. What we will say is that for the immigrants who come here and need services, we feel that Head Start can function as the touchstone program, the stable foundation upon which an immigrant family can build their new life. Many of the individuals who have made the journey to America are escaping poverty, violence, and persecution in their home countries. Moving to a new place where you may not know the language is stressful enough, but making it without the services and comforts that money can provide can be downright traumatic. That’s one of the reasons why consistency and structure are so important. Children should be enrolled in school as soon as possible. And if they are pre-school age, parents should definitely consider Head Start. As we know, Head Start focuses on the whole child, which means providing comprehensive services to both the child and family to achieve the best possible outcomes. When the entire family thrives, the child does too. So for example, if parents can’t be involved in their child’s education per Head Start requirements because of a language barrier, then it is up to the program to bridge that gap. That’s one of the reasons why Head Start as a program has been so successful for 50+ years. 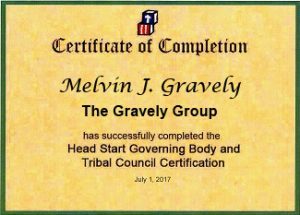 Head Start is required to provide culturally-appropriate education and services to the entire family. In addition, they’re also required to actively recruit through strategic ERSEA initiatives, which often includes partnering with other government or social service organizations that serve new immigrants to get them enrolled as soon as they’re eligible. On top of that, Head Start made a commitment early on that no child will go without early childhood education while their parents are seasonally employed in the United States. The Migrant and Seasonal Head Start program currently offers services to over 32,000 students nationwide. Research shows that adults who attended Head Start as children have better long-term life outcomes. Benefits of Head Start programs include a more productive workforce, increase tax contributions, and a decrease the need for public assistance in the future. Sadly, Head Start programs currently available to children born in the U.S. to immigrant parents are at risk of becoming unavailable. The current administration is seeking to implement repercussions if immigrants enroll their children in Head Start. While the 1996 Welfare Reform Legislation limited immigrants’ eligibility for many “federal public benefits,” Head Start is not considered a public benefit. 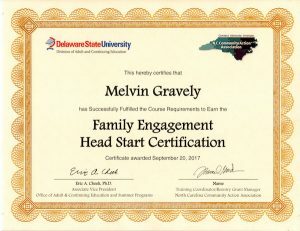 Head Start is a federally funded comprehensive child development program that was created to break the cycle of poverty by improving early learning and development for young children, while also improving their families’ economic well-being and ability to support their children’s learning. Head Start programs do not solicit or report information on children’s or their parents’ immigration or citizenship status and does not actually know how many children these proposals could affect. 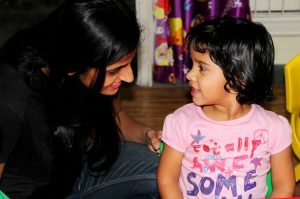 One-fourth of children under six years old has a non-U.S. born parent so this proposed policy could affect a significant percent of Head Start children, their families, and their future.